I LOVE restaurant week. Let me say that again, I LOVE RESTAURANT WEEK! 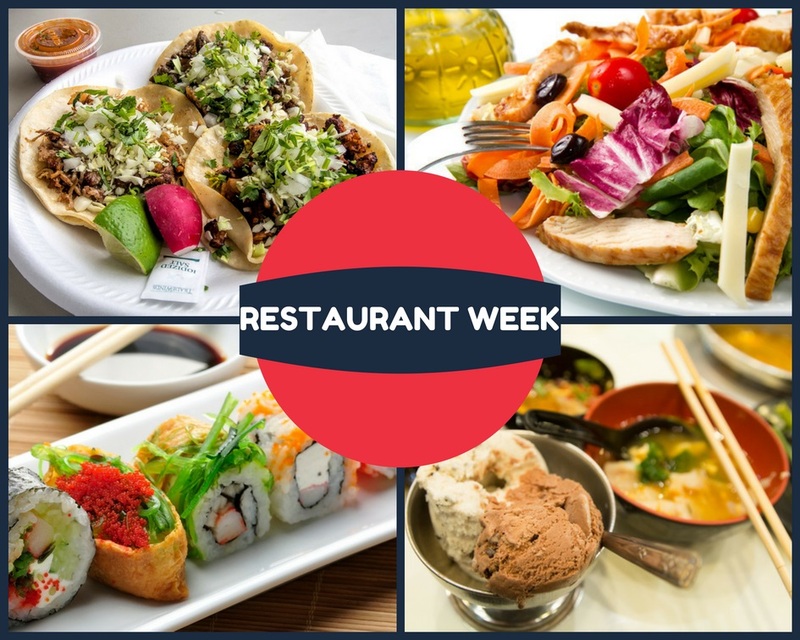 Okay, maybe I'm a little too excited for it but starting Jun 1 - 17 (I guess that's weekS) is the Greater Palm Springs Restaurant Week. This 17-day dining event takes place at several restaurants around the Coachella Valley showcasing a variety of local favorites, culinary experiences, and special discounts. Most participating restaurants offer special menus at set prices with lunches starting at $15 - $25 and Dinners at $29 - $49. There are no tickets required. Just simply dine at the participating restaurants this week to get the deal. It's important to make reservations because seating fills up fast. Walk-ins are welcome but of course, reservations get seated first and we always make reservations. Take a look at the line up and make your reservations today. This is a great way to experience some of the pricier restaurants in town without spending a fortune. Here are just some of our favorites in the lineup this year. AL Dente Trattoria Toscana – with their clams linguine, European atmosphere, and delicious bread with fresh garlic, balsamic vinegar, and olive oil. Chez Pierre Bistro - with their $39 dinner menu featuring some of the best French restaurants in the valley since 2005. Whether it's the lamb chops, foie gras, or beef Wellington, you're sure to get an exceptional meal here. DOMO - for fabulous sushi you have to check out DOMO offering creative dishes, inspired rolls, and the freshest seafood around. The Grill at Shadow Ridge – whether it's lunch or dinner, this country club restaurant can't be beaten. Grab a glass of wine, enjoy some truffle fries, or just get one of the best burgers in the club. La Quinta Cliff house Grill – there are $39 dinner menu features delicious tastings such as pan-roasted Alaskan halibut, grilled steak, portobello mushroom bruschetta and chicken roulade stuffed with bell peppers and spinach. Lavender bistro – one of my all-time favorites. There high and $49 dinner menu includes attempting bites such as Ahi tuna tacos, Jumbo lump crab cake, risotto with sea scallops, and roasted rack of lamb. Melvyn's Restaurant at Ingleside Inn – come for lunch or dinner and enjoy unique dishes such as Burrata pannacotta, fried brie with housemaid jalapeno jelly, vegetable risotto, steak Diane, and Chilean sea bass. And to think - these are just a very small sampling of the yumminess you could enjoy this week! So get out there and leave me a review if you visited any of the places this week! I'd love more suggestions on great dishes to try during Restaurant Week in Palm Springs.